Software developers must anticipate that laws and regulations will inevitably change over time, and they should consider developing processes to update and adapt to new or revised legal requirements. The future of automotive technology is the autonomous car, which endeavors to provide even greater safety benefits than today’s computer assisted driving, using Automated Driving Systems (ADS). ADS will handle the chore of driving. Fully automated cars will drive us, instead of us driving them. More and more of today’s new cars have technology that can assist drivers avoid wandering into adjacent lanes or avoid unsafe lane changes. They warn drivers of other vehicles or objects behind them when they are backing up. If a vehicle ahead of them stops or slows suddenly, they brake automatically. These along with other safety apparatus use a combination of hardware (sensors, cameras, and radar) and software that identify specific safety hazards so that the driver can be warned and act to avoid an accident. The safety benefits of automated vehicles are overriding. ADS can save lives as 94 percent of serious crashes are due to human error. Automated vehicles remove human error from the crash equation, which will help to protect drivers and passengers. More than 40,100 people died in motor vehicle-related crashes in the U.S. in 2017. Therefore, the lifesaving benefits of driver assistance technologies will play an important part in saving lives. Some, who object to autonomous cars argue the safety record for self-driving cars hasn’t been proven, and that there should be more testing miles under real-life conditions. While the U.S. government is confident in autonomous vehicles’ ability to end rampant traffic deaths on our streets, there are plenty of apprehensions from opponents that are causing cities to think twice before allowing them on their streets. Waymo is the clear leader for safe self-driving miles in the U.S. According to Waymo’s reports, its vehicles have been in twenty-four crashes, only one was the fault of Waymo’s vehicle. In that crash, in 2016, a Waymo vehicle bumped a bus while going 2 miles per hour. Waymo had listed five million self-driven miles. Waymo’s fleet began driving about 25,000 self-driven miles per day, or one million miles per month. The major safety benefit of an autonomous vehicle is that a robot is not a human. It is programmed to obey all the rules of the road. It won’t speed. It can’t be distracted by text messages. Autonomous cars can also detect what humans can’t and can react more quickly to avoid a collision. One important safety technology for autonomous cars is LIDAR (light-detecting and ranging sensor). Using millions of lasers, LIDAR draws a real-time 3D image of the situation surrounding the vehicle. Autonomous cars have radar sensors that can measure the size and speed of moving objects. High-definition cameras can in fact read signs and signals. As the car is on the move, it cross-references all this data with GPS technology to plan its route. Autonomous cars use software programs, which generate real-time decisions regarding how the car will navigate in relationship to other vehicles, pedestrians, or objects in the road. Even though engineers put the cars through simulations, the software needs to learn from actual driving situations on public roads. Autonomous vehicles can be mobilized on-demand, routed more efficiently, and easily shared, all of which means more safety. Its not just that the overall number of cars on the roads will decline, but the number of trips will be reduced, representing a reduction in overall miles traveled. The U.S. Department of Transportation is developing a regulatory framework that fosters, rather than hinders the safe development, testing and deployment of automated vehicle technology. Safety is the top priority for the U.S. Department of Transportation (DOT) and is the explicit emphasis of the National Highway Traffic Safety Administration (NHTSA). The government has issued Voluntary Guidance to support the automotive industry, and the States are designing the best regulations that relate to the testing and deployment of automated vehicle technologies. The government encourages companies involved with Autonomous vehicles to follow a strong design and validation process based on a systems-engineering approach to design autonomous vehicles to be free of unreasonable safety risks. The Operational Design Domain (ODD) would define at a minimum each autonomous vehicle’s capability limits and boundaries. These include roadway types (interstate, local, etc.) 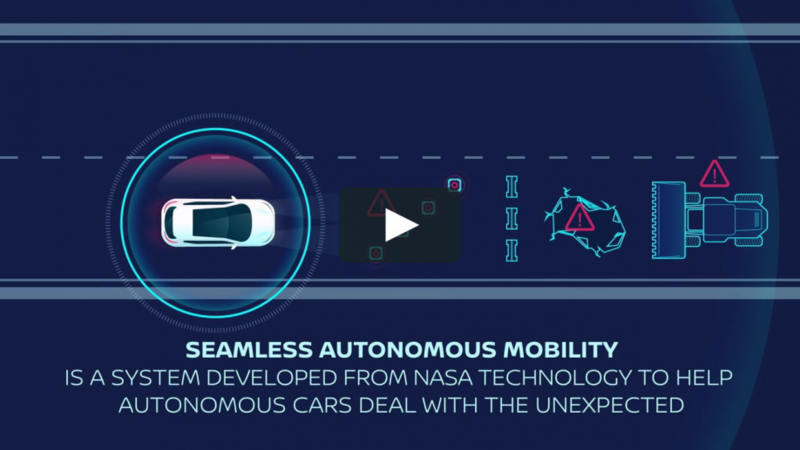 on which the autonomous vehicle is intended to operate safely; the geographic area, such as city, mountain, or desert; the speed range; and environmental conditions, such as weather, or daytime/nighttime operation. Behavioral competencies need to be assessed and tested so that an autonomous vehicle can operate in the traffic conditions that it will regularly encounter. These include keeping the vehicle in its own lane, obeying traffic laws, following realistic road manners, and responding to other vehicles or hazards. An autonomous vehicle should be able to deal with applicable pre-crash scenarios that relate to loss of control; crossing-path crashes; lane changing and merging; head-on and opposite-direction threats; and low-speed conditions such as backing and parking movements. Where a human driver may not be available, the autonomous vehicle must be able to fallback to a minimum risk state without the need for driver intervention should there be a system failure. A minimal risk state includes automatically bringing the vehicle to a safe stop, if possible outside of an active lane of traffic. In autonomous vehicles where there is no human driver or human occupant, a distant dispatcher or central control should be able to know the status of the autonomous vehicle at all times. Car companies need to account for all applicable Federal, State, and local laws in the design of their vehicles. The development of autonomous vehicles should account for all governing traffic laws when operating in automated mode. In certain scenarios, such as driving across double lines to travel safely past a broken-down vehicle, human drivers might briefly violate certain State motor vehicle laws. Therefore, autonomous vehicles must have the capability of handling such foreseeable events safely. Software developers must anticipate that laws and regulations will inevitably change over time, and they should consider developing processes to update and adapt to new or revised legal requirements. Of course, each State will have its own rules governing autonomous vehicles and these regulations must be factored in. The age of the autonomous car is upon us. As they are proven to handle all situations safely, we will see the mass production of these vehicles and like the horse and buggy, they will replace existing human driven cars.